LATEST UPDATE dated 26.02.2019 : Good News !! UPSSSC has uploaded Corrected Answer Key/ Question Paper for Junior Assistant Special Recruitment Exam 2017. Candidates can send Objections till 05 March, 2019. Download UPSSSC Junior Assistant Answer key/ Question Paper from link given below…. Good News !! Now Computer Degree & Diploma is approved for various Group B & Group C Posts. Earlier only DOEACC/ NIELIT Certificate was acceptable for Junior Assistant/ Stenographer Posts. Read Full News from Image given below……..
Advt No. 01-Exam/2017 (Junior Assistant Special Recruitment Competitive Exam 2017) Uttar Pradesh Subordinate Services Selection Commission eminently known as UPSSSC, has conducted a Written Examination for Recruitment of Junior Assistant Post on 19 February, 2019 at different centers across the Uttar Pradesh State. UPSSSC had conduct this exam for selection to 115 posts of Junior Assistant (Clerk) in various Departments. Written Exam Qualified Candidates will appear for Typing Test & Interview. Result will announce based on Marks of Written Exam, Interview & Educational Qualification. UPSSSC will announce Written Exam Result of Junior Assistant Exam 2017. 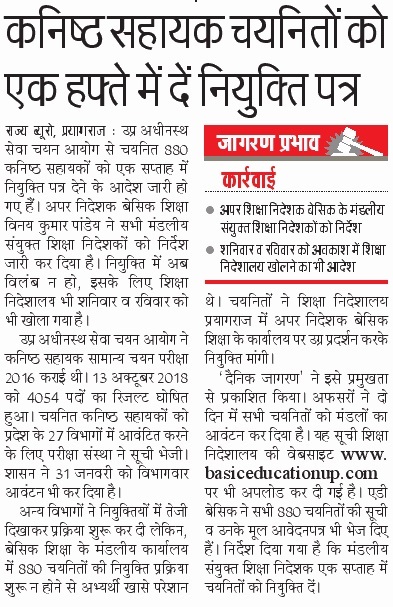 As well as UPSSSC will also upload List of Successful Candidates for Typing Test. Candidates will be able to check Result displayed on official website of UPSSSC (http://upsssc.gov.in/). 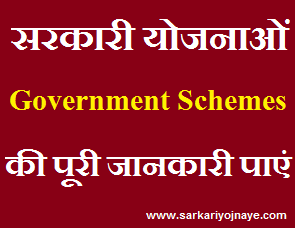 UP Junior Assistant Result Date : There is no confirm date of Result Declaration. Process of Selection of Commission Members is under Process. After this any decision will be taken on upsssc junior assistant recruitment process. UPSSSC generally take 2 3 months time to announce result. As Exam conducted in February, 2019 thus Written Exam Result may announce in April, 2019. Junior Assistant Selection Process : Selection will be done as follows………. Candidates who qualify Written Exam will be called for Skill test/ Typing Test. Candidates have to appear for Hindi typing & English typing. Typing Speed of 25 wpm required in Hindi & 30 wpm require in English. candidates who qualify Typing Test will call for Interview & Document Verification. Hi Shweta, answer key is available now. download from given link. Hi Vinod, there is no confirm date of result. Sir please tell me! I had computer subject in my 10th class and PCM in 12th. I don’t have CCC. Am I eligible for VDO. I filled up the application form this time..
Hi Aniket, Don’t worry. You are eligible for VDO Post. Focus on cracking written exam.